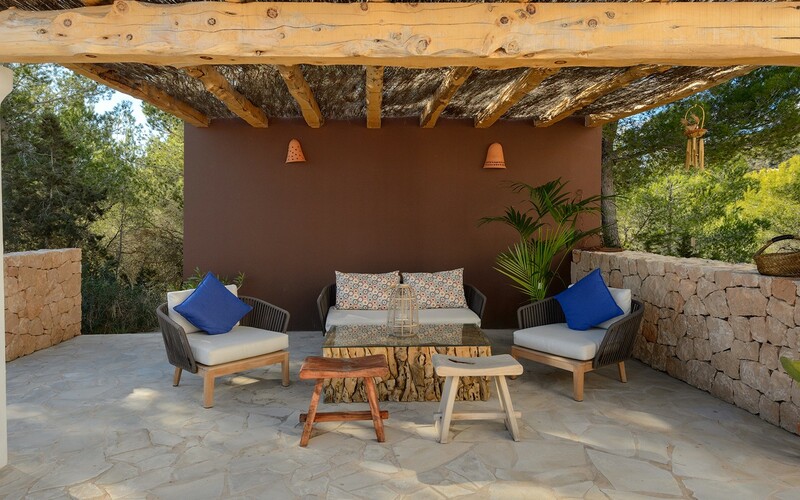 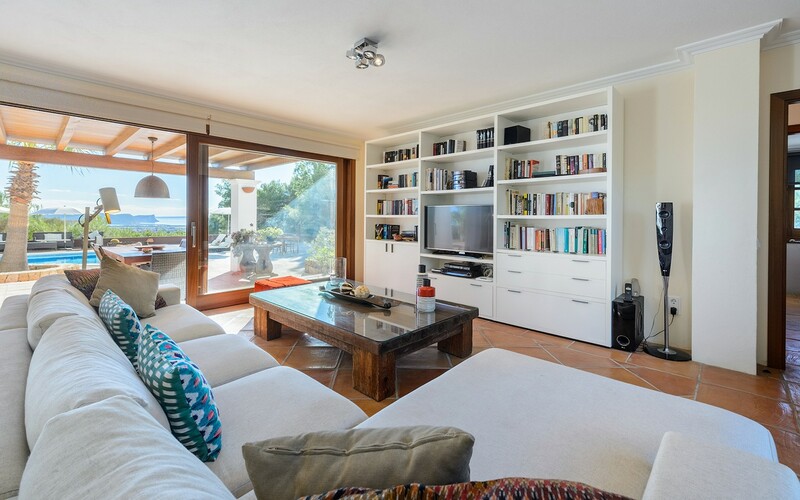 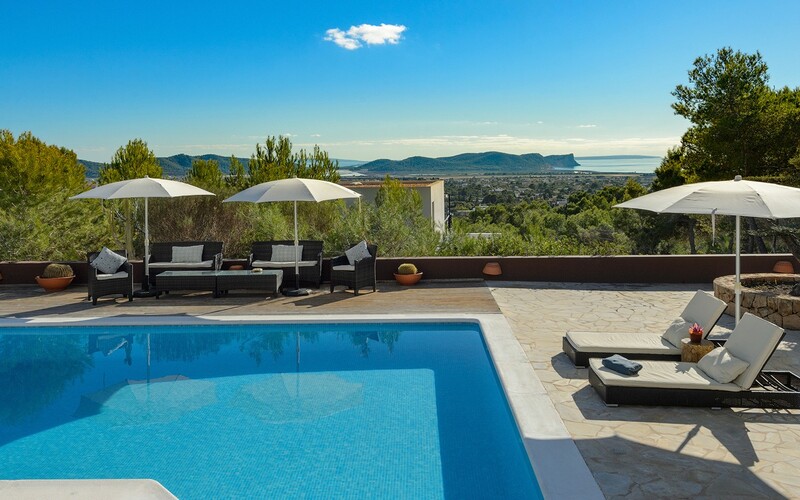 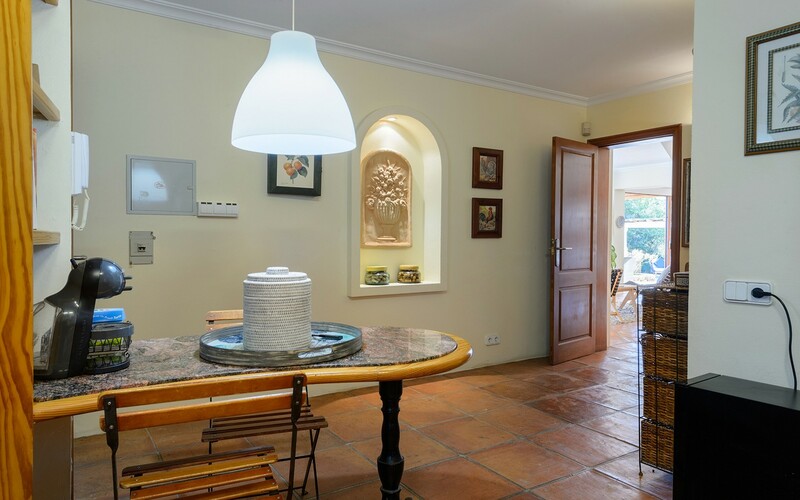 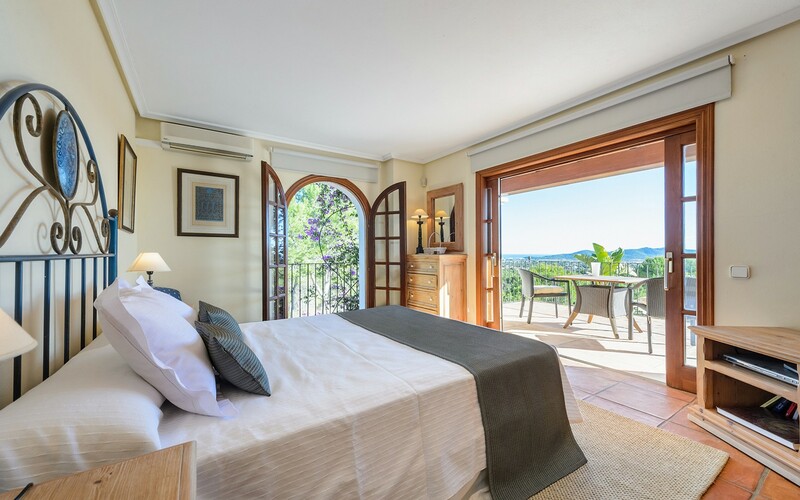 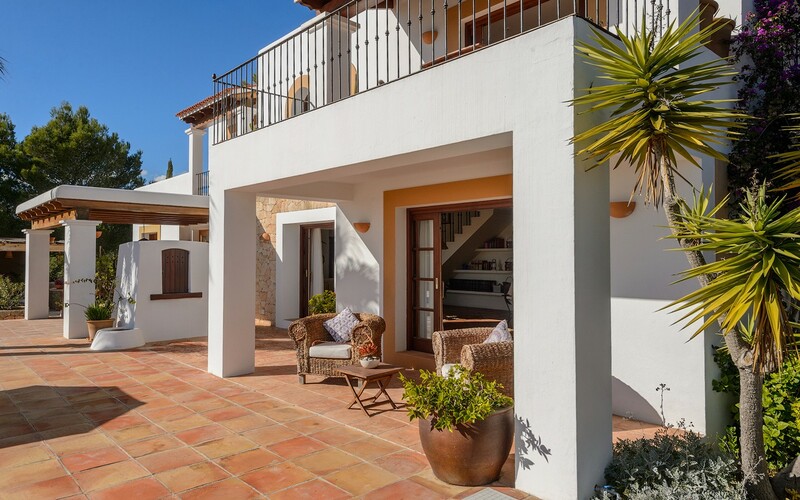 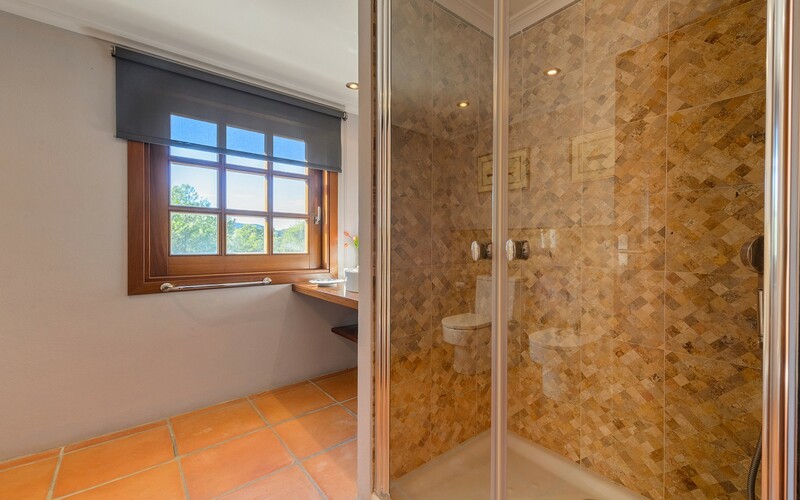 Villa Arcadia is situated on a hill of Ibiza in a quiet place surrounded by nature. 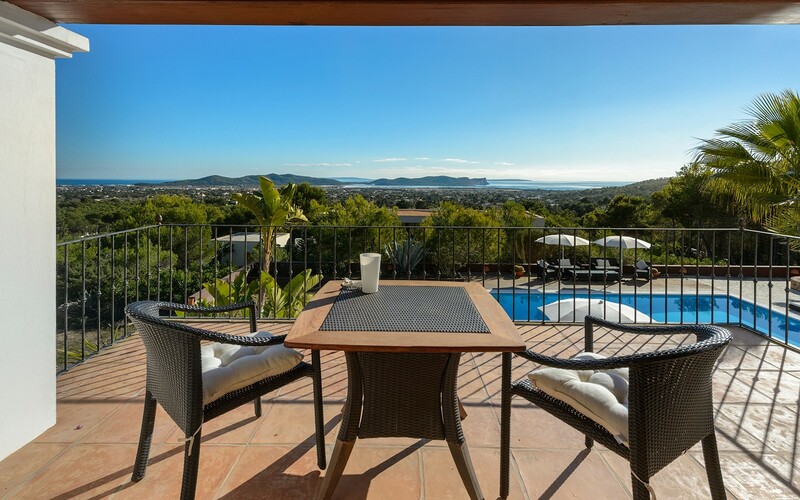 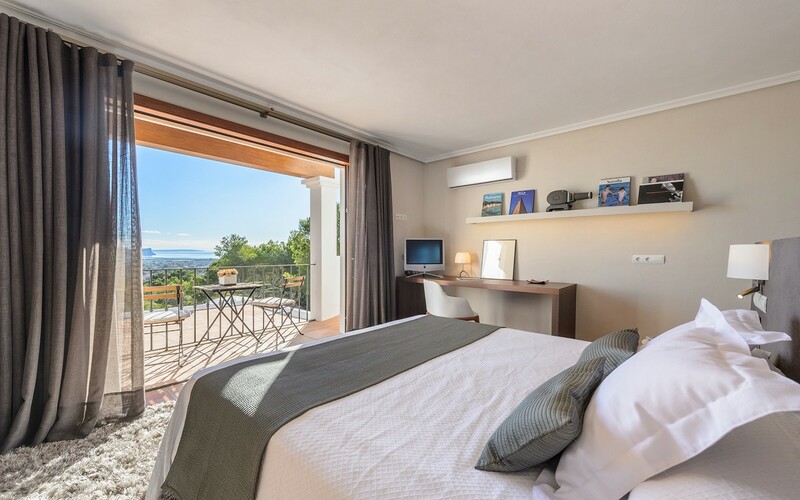 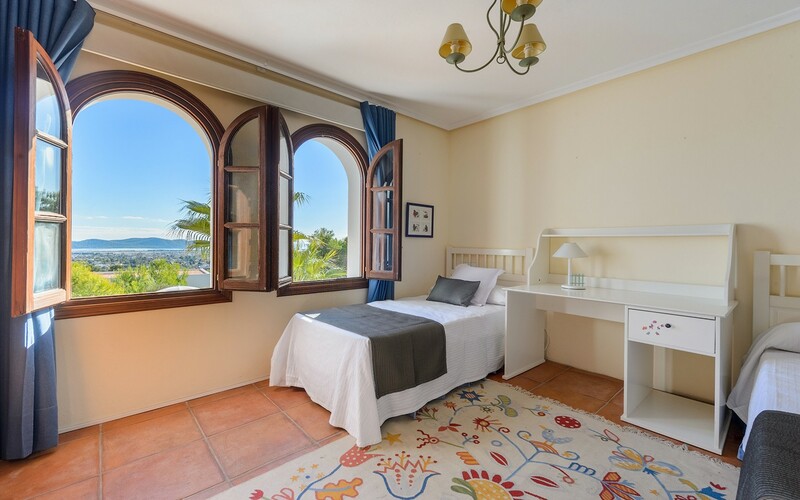 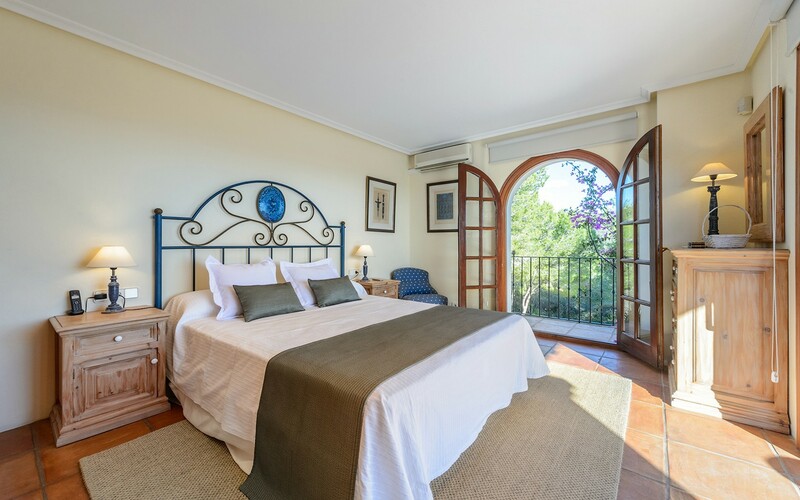 Thanks to its location, the house enjoys spectacular views of the historic city center and the beaches of Salinas and Cap des Falco. 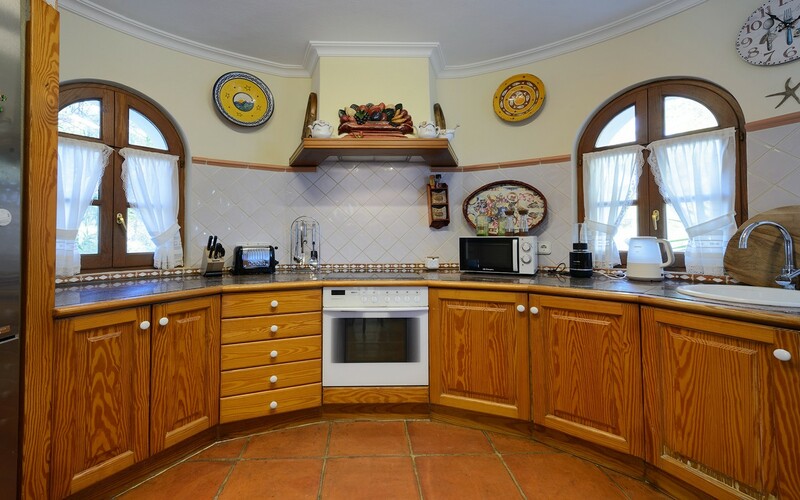 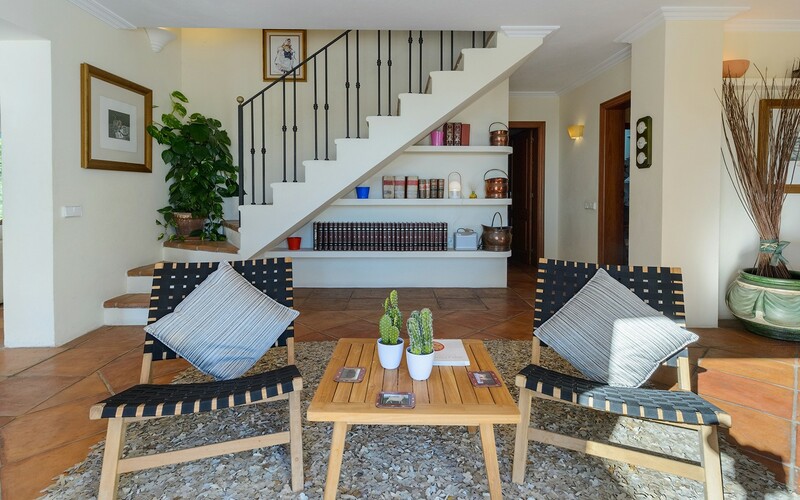 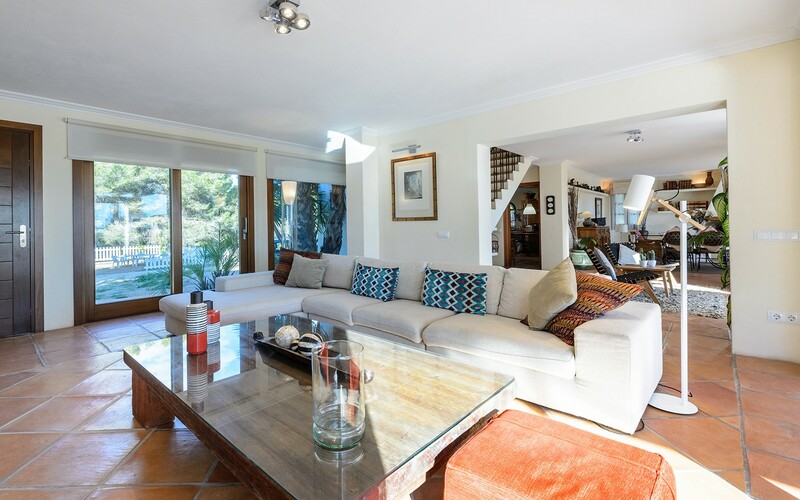 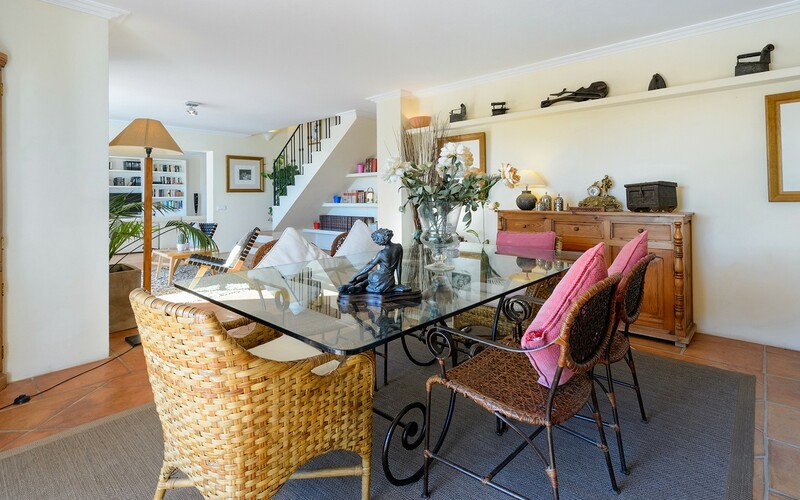 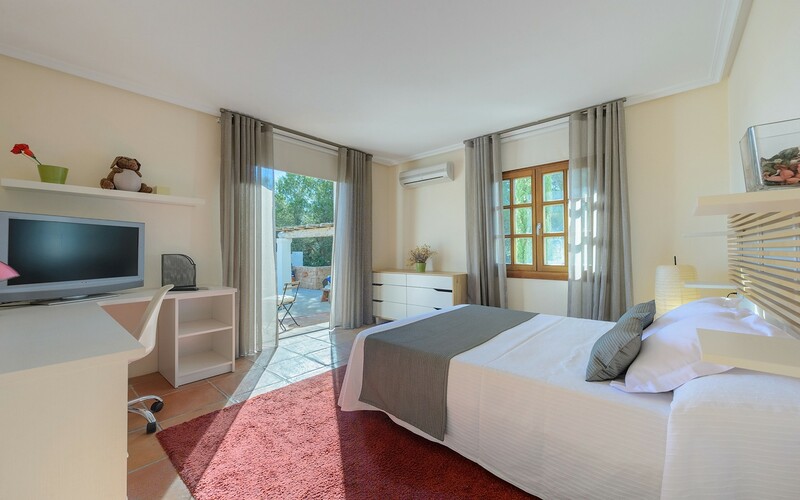 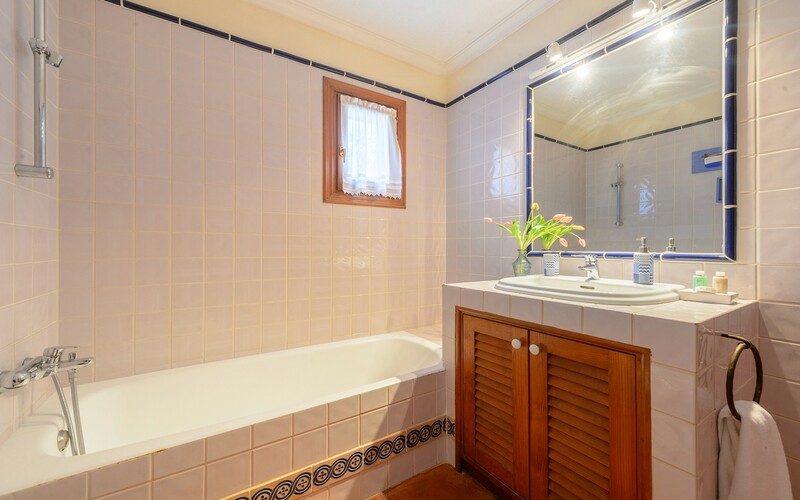 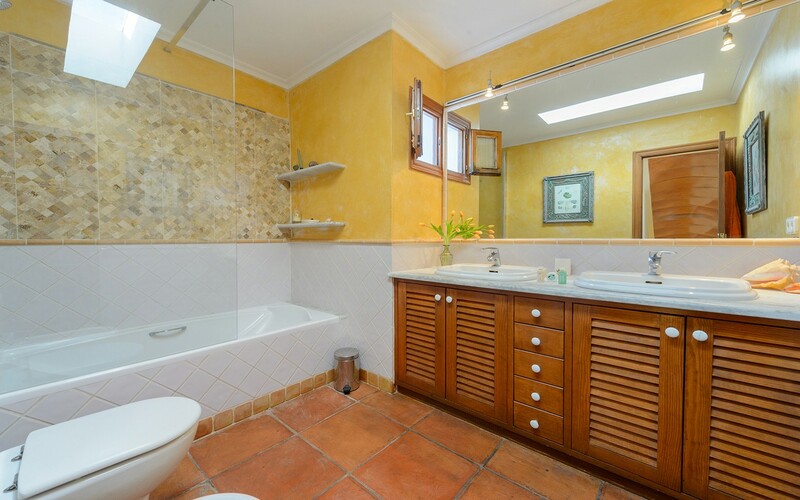 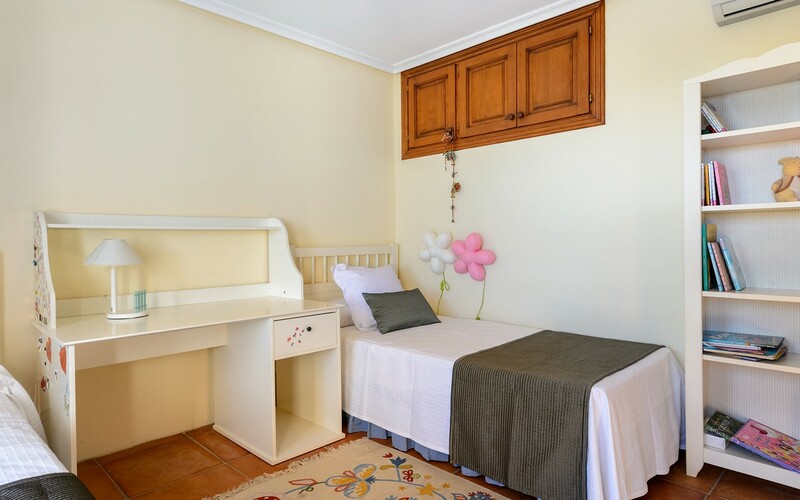 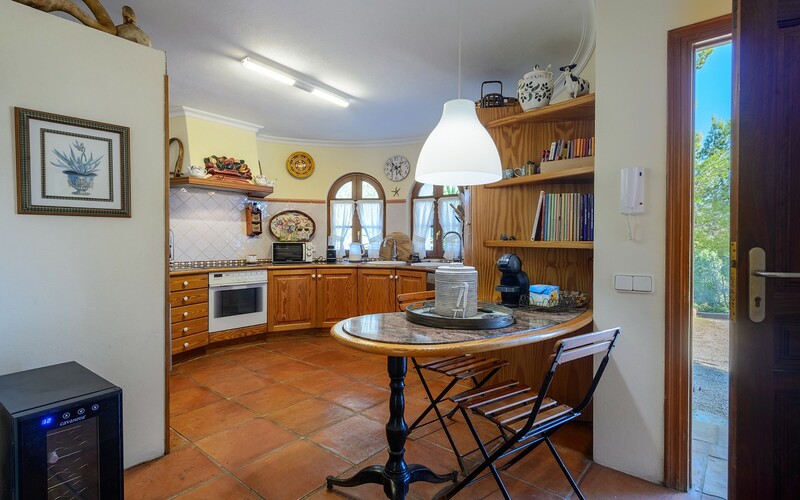 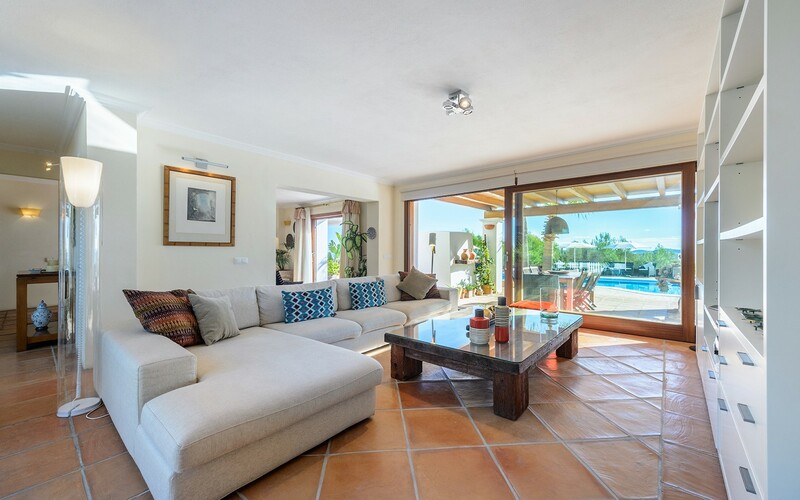 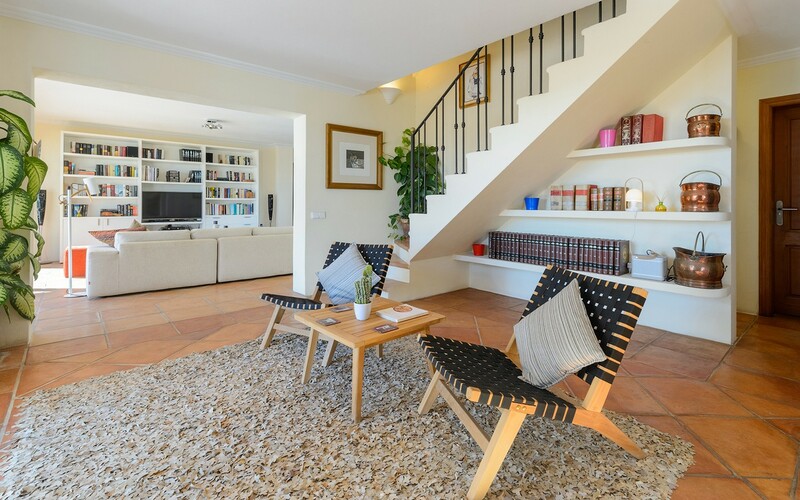 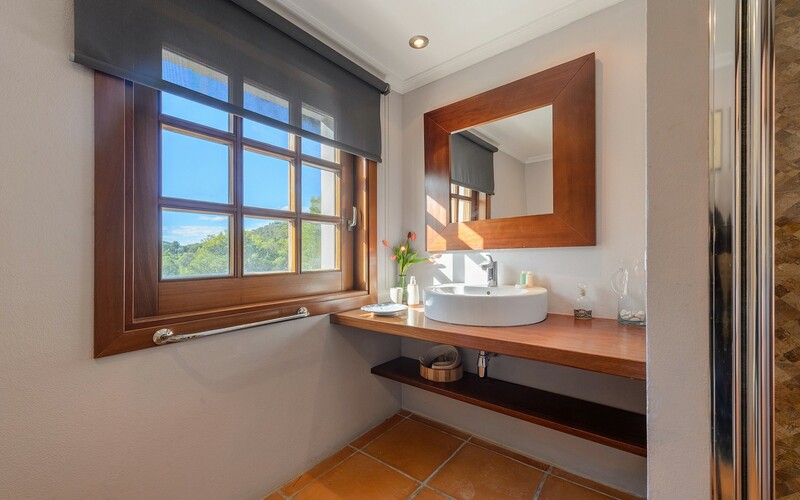 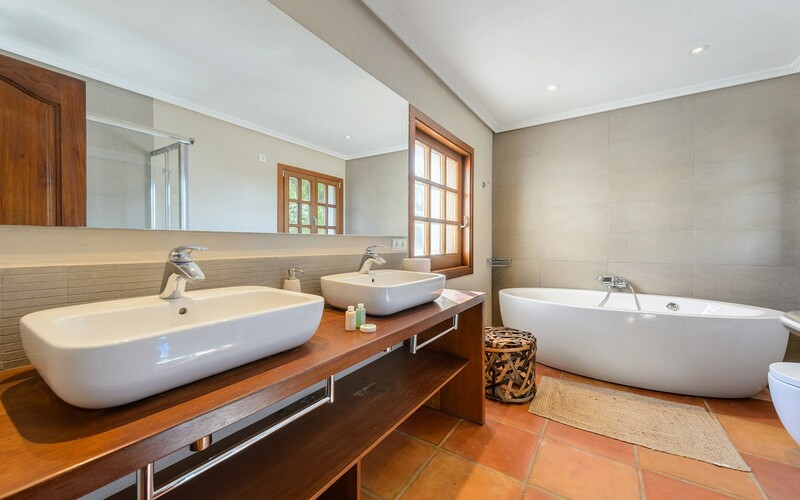 The interior of the property is very cozy and consists of a large living room with TV, sofa and dining table, an independent and functional kitchen, four bedrooms and four bathrooms. 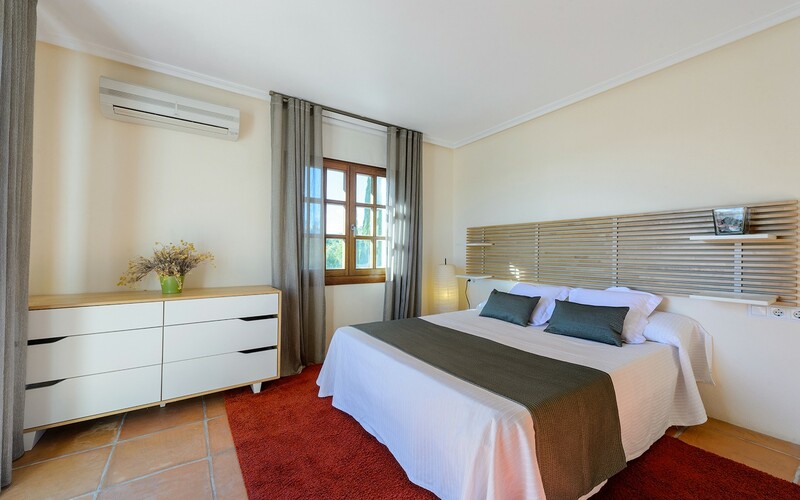 The whole building is equipped with air conditioning, alarm and wifi. 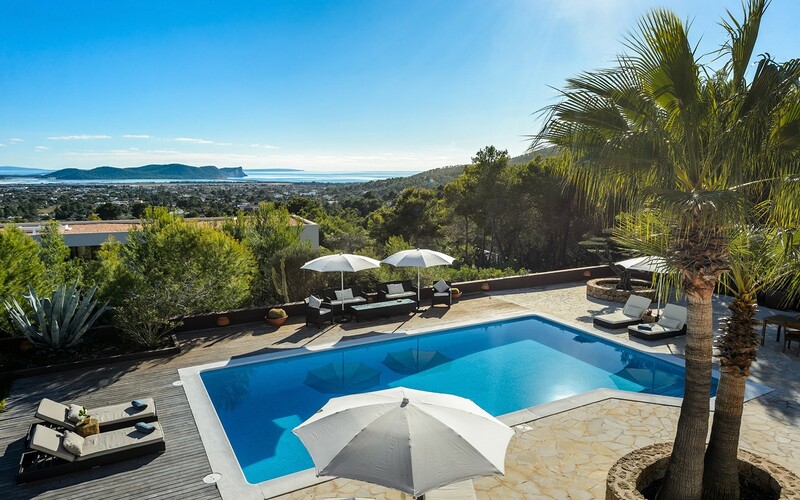 Outside the villa there is a swimming pool (10x5) with sunbeds where you can admire the fantastic view of the island. 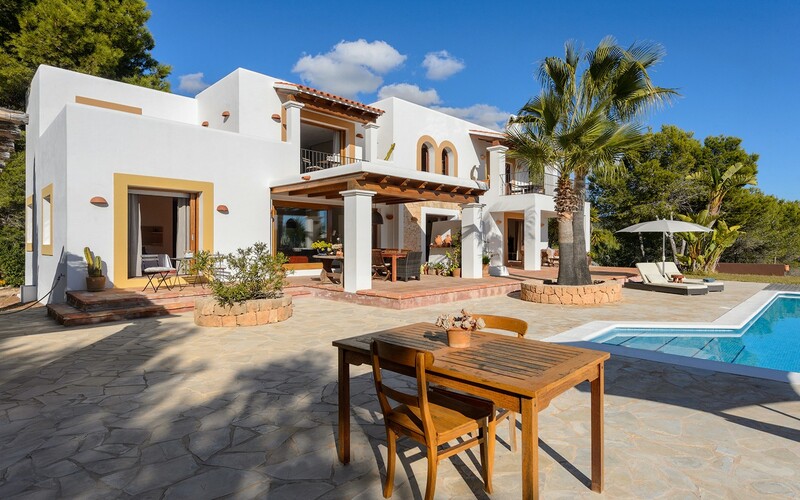 Only 6 km away is the tourist beach of Playa d'en Bossa with numerous typical restaurants of Ibiza; while about 10 km away we find the paradisiacal pebble beach of Cala Jondal.